Singer's X-Men Movie Universe to End with Apocalypse & Wolverine 3? #RUMOR I'm being told that X-MEN: APOCALYPSE & WOLVERINE 3 will mark the end of the Bryan Singer X-MEN universe he started back in 2000. Makes sense since Hugh Jackman also said Wolverine 3 will be his last film playing Logan. The end of an era." If this turns out to be true, it certainly makes a lot of sense. 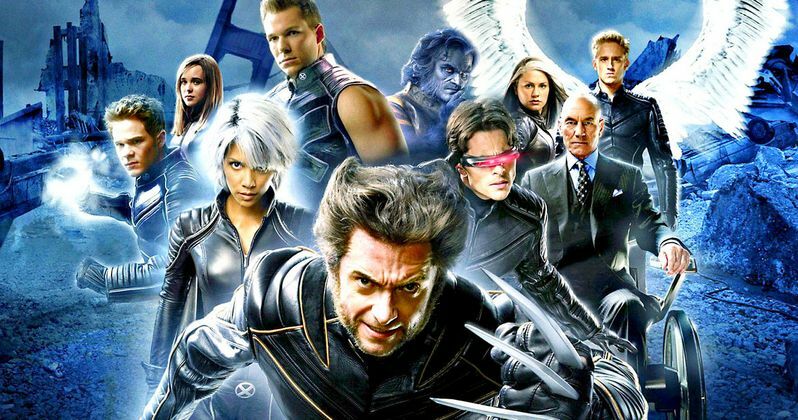 Bryan Singer and Hugh Jackman kicked off the franchise together way back in 2000 with the original X-Men. The series is clearly going in a new direction as it brings in younger actors to replace some of the cast members that appeared throughout the series. X-Men: Apocalypse is said to close out the trilogy started by X-Men: First Class and X-Men: Days of Future Past, the later of which started a new timeline and abolished all of the events seen in Bryan Singer's past X-Men movies. It isn't quite clear what lies in store for the X-Men franchise following X-Men: Apocalypse, but it's likely that Alexandra Shipp (Storm), Tye Sheridan (Cyclops), Kodi Smit-McPhee (Nightcrawler) and Sophie Turner (Jean Grey) will be back, perhaps for their own new trilogy. Between X-Men: Apocalypse and Wolverine 3, 20th Century Fox will release two standalone adventures focusing on Deadpool and Gambit. Bryan Singer is not listed as a producer on either film. As of now, this should all be considered just a loose rumor.